The 2008 near destruction of our economic system was brought on by deregulation and the greed of banks and Wall Street. The same evil forces are now privatizing (deregulating) America’s public education system. They are gaining access to the taxes we pay to support our schools. They are driven by profit, not quality education for children. We must stop the privatization of our schools by corporations and pirates who want access to the over $500,000,000.00 we citizens pay to support education. 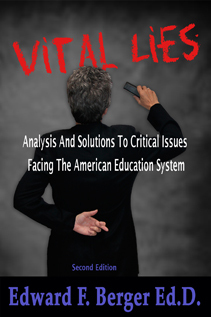 These amoral forces have weakened or destroyed comprehensive schools in many states. If they succeed, Americans will lose all hope of achieving the American Dream and our country will be brought down.